I am an English Lit. grad. student and have long been interested in the portrayal of the Devil in literature. I am considering proposing an independent study that addresses the different ways Satan has been depicted in works from various centuries and countries. Aside from, say, Milton, Dante, Marlowe and Goethe, can you point me towards some other works that might be helpful? Also how much of a connection do you draw between an age’s dominant religious beliefs and the “imaginative climate” it creates for authors? Should I include non-fiction on religion in my proposed bibliography? When I was in college, I took a class on just the Faust myth, so I’m certain that will provide you with more than enough information for an independent study. I’m also sure you could take full length courses just on Milton and Dante – the Teaching Company has courses just on Dante’s Divine Comedy and The Life and Writings of John Milton. By focusing on simply the Devil in Literature, you’ll probably be spreading yourself too thin. If I was to do an independent study, I’d focus on a certain time frame or theme – most likely, either during the Devil during the Reformation, the Romantic era, the 20th century, in Russian literature, etc. Even those will probably be too broad for a graduate paper. 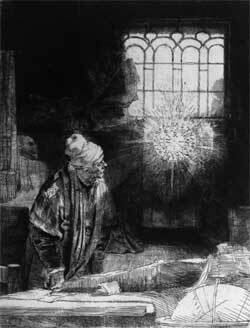 For the Faust Myth, check out Wikipedia’s list of works inspired from Faust. There is certainly a direct correlation between the age’s (or the author’s) dominant religious beliefs and what literary works are being produced. The Mephistopheles book does a great job of covering that. Whether you’d have to cover it would depend on your subject, but in most cases, the answer is probably. Previous Post: « Was Vlad the Impaler Bram Stoker’s Inspiration for Dracula?